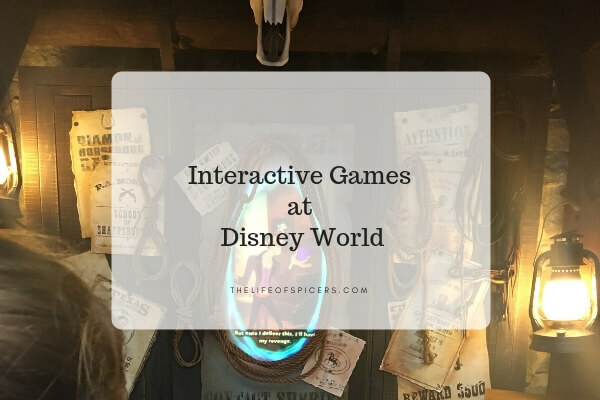 Have you ever played the interactive games at Disney World? It took us three visits before we even realised there were these amazing Disney World games you could play in the parks. If you’re looking for some unique things to do at Disney World then you’ll love these ideas. The great thing about all the games mentioned in this post is that they are suitable for all the family. Adults can play alone if they wish, there is no upper age restriction. I do enjoy a scavenger hunt, and a Disney scavenger hunt in the happiest place on earth makes it even more exciting. If you’re looking for adventures in the Magic Kingdom, then I highly recommend giving Sorcerers of the Magic Kingdom a go. You will begin your adventure in the Fire House near the entrance to Magic Kingdom where you will be given your Sorcerer training if it’s your first time, portal key card, game cards and a map. Your mission is to assist Merlin to defeat Hades and his cohorts from taking over the Magic Kingdom. There are nine different quests over 20 portals dotted around Magic Kingdom. As you being the game inside the Fire House, Merlin will direct you where your next portal is located. Follow the map to find your portals and use your spell cards to defeat the Disney villains waiting inside. We love playing Sorcerers of the Magic Kingdom as it can be done as you’re walking around the park. If you’re visiting Magic Kingdom over different days, you can receive a new pack of spell cards each day which is a lovely way to collect new cards. Each mission will last around 30 minutes and if you don’t finish during one visit, just remember your last portal and you can carry on during your next visit. You may find yourself walking quite a lot around Magic Kingdom whilst playing Sorcerers of the Magic Kingdom. Wilderness Explorers is a great way to explore Disney’s Animal Kingdom park. We have visited many times and I know we haven’t seen it all. If you would like to follow in the footsteps of Russell and Dug from Up!, then sign up in Discovery Island and become a Wilderness Explorer. There are over 30 different badges to collect for your field guide from a Veterinary badge, Yeti badge, Dinosaur badge and many more. Cast members can be found at nine different locations around the park waiting to help you along your journey. You can spot them as they have orange satchels which hold the ever important sticker badges to put in your field guide once your mission is complete. 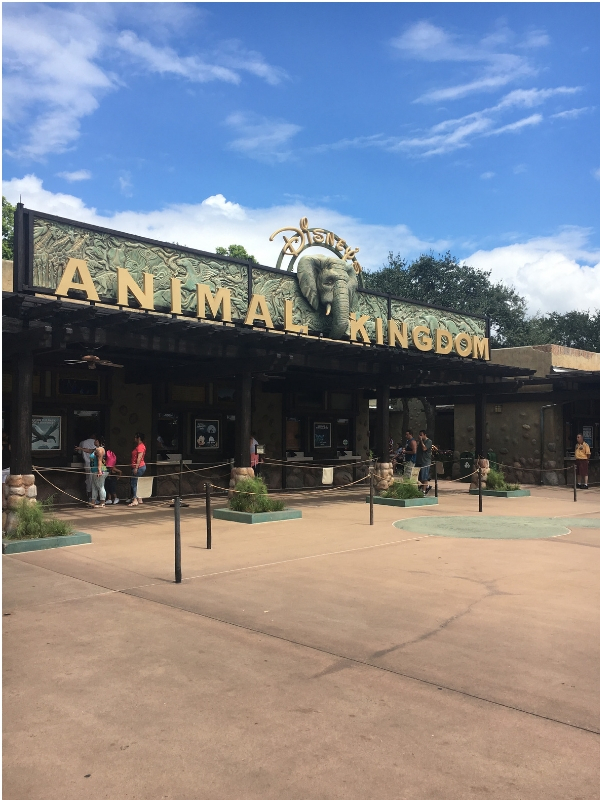 Being a Wilderness Explorer in Animal Kingdom is a great way for children of all ages to take part in fun activities, and it’s also educational but without the children realising it. You can keep your field guide with you and complete over numerous visits if you want to. Your Wilderness Explorer locations are easy to spot around the park by looking out for the wooden circular signs. 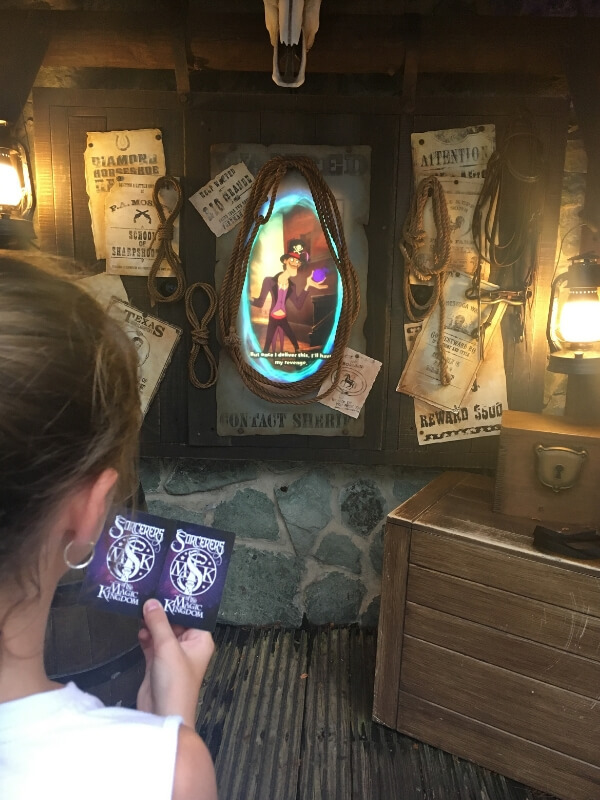 This Disney scavenger hunt is a great way to interact with the cast members, and we all know that chatting with the cast members is a great way to find out all the Disney World information we didn’t know before. Based mourned Phineas and Ferb, your mission if you choose to accept it is to take part in a scavenger hunt around Epcot’s World Showcase to defeat Dr. Doofenshmirtz. For this interactive scavenger hunt you will need to sign up online at agentpwsa.com and will need the use of a mobile phone to complete your quest. Inside Epcot, visit one of the two recruiting kiosks. 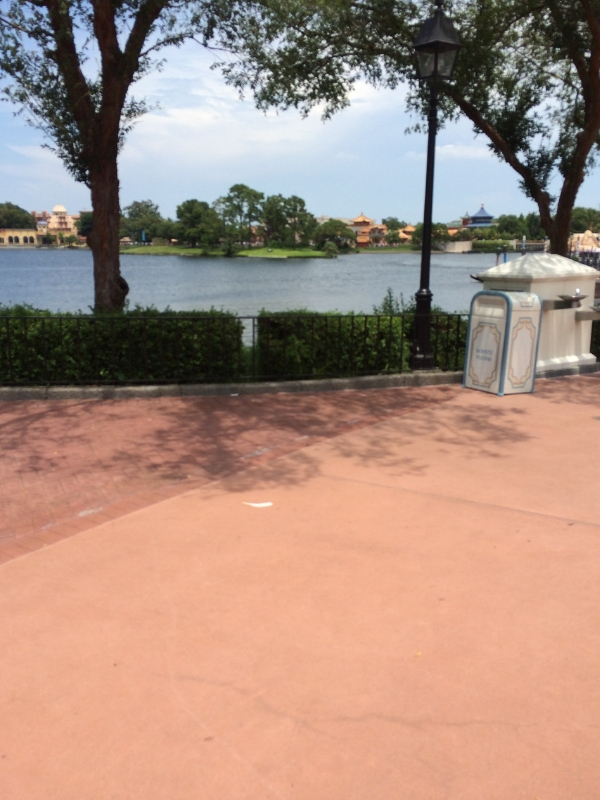 There is one just at the entrance to the World Showcase, or another near the International Gateway entrance. You will receive your clues via text message along your journey through the Japan, China, France, Germany, Mexico and United Kingdom Pavilions. Each Pavilion has a different adventure that will last around 30 minutes. Tasks will include things like finding certain objects in the pavilions, or going to a specific location. Agent P’s World Showcase Adventures is a great activity for the kids to play whilst in Epcot, and it’s a good distraction as you’re making the 1.2 mile walk around the lagoon. One thing to note is that your game progress will only be saved for one day, so should you decide not to complete the adventure then you’ll have to restart from the beginning on a different day. If you’re looking for things to do at Magic Kingdom, Captain Jack Sparrow needs help to find secret treasures in Adventureland. To begin this interactive quest, you need to sign up at the Crow’s Nest in Adventureland which is just by the entrance to Adventureland near Pecos Bills. There are five missions to complete A Pirate’s Adventure, all taking place in Adventureland. Each mission will take around 20 minutes to complete, but you may be rewarded with some very special if you complete all the missions. To play you need to collect your talisman card, or alternatively you can use your Magic Band. After each successful mission you will receive a treasure finder card. You can take as long as you want with each mission and start and stop throughout the day which is a bonus. A Pirate’s Adventure is a great way to see all of Adventureland. I don’t know about you, but we walk into Adventureland, use our Fastpasses for Pirates of the Caribbean, stop for a Dole Whip Float and ride Aladdin’s Carpet if the standby queue isn’t very long, but that’s about it. 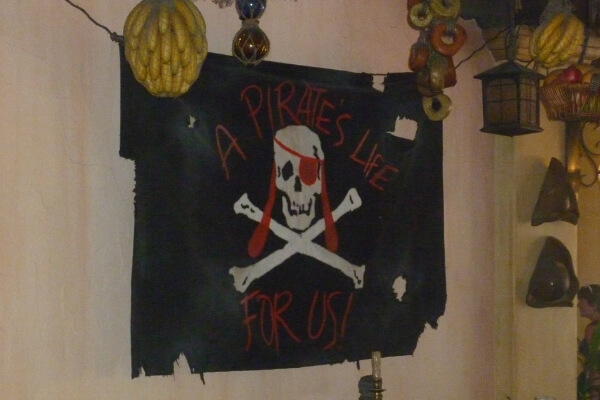 Seeking out the interactive decorations in Adventureland is amazing when you play A Pirate’s Adventure, as before we didn’t really notice them, let alone know they were part of an interactive game. 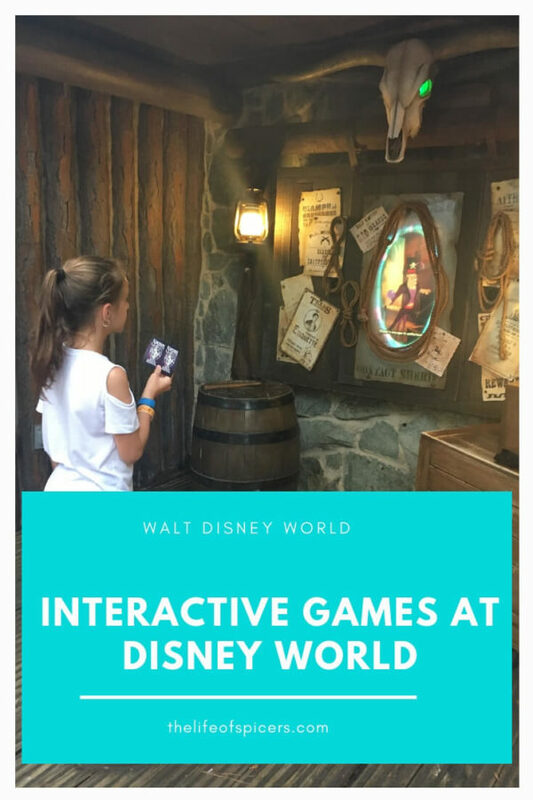 All of these Disney World games are free to play, and are a great distraction from the rides, parades and shows when you’re looking to see more of the parks without rushing from one ride to the next. Thanks for the tips, I’m not always all about the rides so these look great. We loved the Sorcerer’s of the Magic Kingdom game! Sadly one of the portals wasn’t working when we were there so we couldn’t complete it. Hopefully next time. And the Wilderness Explorers at Animal Kingdom looked ace too although we didn’t find out about it until we were half way around so that’s on our list for next time too. 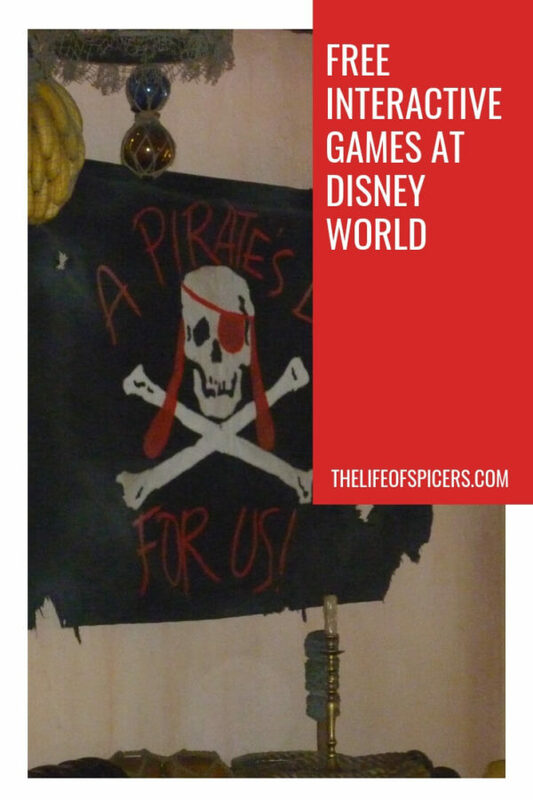 Didn’t know about the Pirate’s Adventure one – added to our list!